It's December 8th, the time of year when a lady's thoughts turn to visions of Chex Mix, Taco Dip, Hidden Valley Ranch Oyster Crackers, Blue Cheese Walnut Spread, Baked Brie and more. That's right, friends. Sweet, spicy, chewy, crisp, savory, creamy; in my house, it's all about the snacks! Holiday activities go hand in hand with tasty nibbles, right? Holiday movies just aren't the same without a bowl of popcorn. A friend stops by for a cozy chat? Bring out the Chex Mix and eggnog! The gang gathers at your house after the local Christmas Parade? How about some Taco Dip and chips or Ranch Oyster Crackers? Bet you can't eat just one! Here are recipes for some of my favorite holiday snacks. Combine dressing mix with oil. Add dill weed, garlic powder and lemon pepper. Place crackers in a baking dish. Pour dressing mixture over the crackers, stirring to coat. Bake in a 250° F. oven for 15 - 20 minutes. Cool before serving. Blend cream cheese until smooth. Mix in sour cream and taco seasoning. Serve with your chips of choice. Easy peasy and sure to draw rave reviews. You may want to make a double recipe. This won't last long! Need an appetizer to take to your work/neighborhood/book club Christmas party? 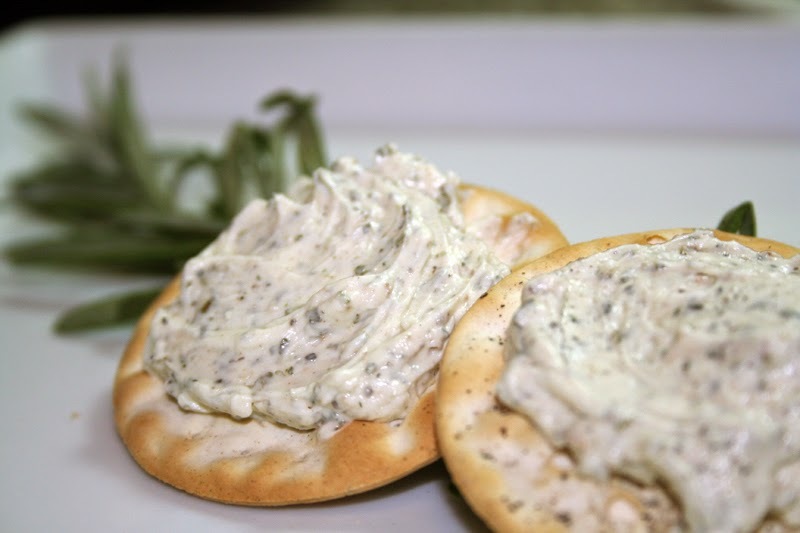 I highly recommend Blue Cheese Walnut Spread, Boursin or Kahlua Pecan Brie. You may want to plan ahead and have recipe cards ready to hand out because I guarantee people will be asking! Cover tightly and store in refrigerator. Bring to room temperature to serve. Great cracker spread! Mix Kahlua, pecans and brown sugar together. Cut and discard rind from the top of the Brie. Place Brie in ovenproof dish; cover with pecan mixture. Bake at 350° F. for 25 minutes. * Don't bake longer than 25 minutes. The Brie should be soft but not melted. Blend cream cheese, blue cheese, sour cream and Worcestershire sauce. Stir in walnuts and chives. Chill at least one hour before serving with your favorite crackers. What are the go-to snacks for your family this time of year? Be sure to come back for the next two Mondays when I'll be sharing more holiday favorites and giving away books! Oh, what great recipes. I just had my Christmas tree trimming party but I'm going to save some of those for next year. I do have one more party but I promised to make my easy dip that everyone seems to like. Cream cheese, and either a can of crab or shrimp and mash all together. You can add extras like onion or onion flakes, sour cream if you like it thinner and then you pour cocktail sauce over the mixture. I've added peppers to the top to look pretty but it's not necessary. Mmmm...that sounds good! I'm adding that one to my recipe stash. Thanks, catslady! Granny Rose used to make Chex mix every year. They look good. I am lazy and tend to buy pre-made dips. Thanks for this delectable and appealing post. I would love to enjoy these treats. I love corn chips but they don't like my tummy so I restrict them to special occasions. They're kind of a New Year's tradition with me along with chili cheese dip. Monica, I'd love to know how that maple syrup recipe turns out! Here's an easy microwave fudge recipe that tastes a lot more complicated to make than it is. Place all ingredients except nuts in a bowl. Refrigerate 10 minutes. Cut into squares then return to refrigerator until set. Sorry, logged in with the wrong acct! Thank you for the fudge recipe! Defrost 1 sheet of puff pastry for 20 minutes and unfold (place remaining sheet in freezer for another recipe). Gently roll pastry with a rolling pin to increase the size of the sheet 1 to 2 inches in each direction. Brush both sides of the sheet with beaten egg. Center the wheel of Brie on top of the pastry sheet and spread the preserves on the Brie. Bring all four corners of the sheet together above the Brie and twist slightly to form a "bundle." Tie gathered pastry with kitchen/cooking string (tie string in the form of a bow), arranging pastry until you are satisfied with the bundle shape. Place the bundle on an ungreased cookie sheet and bake for 20 to 25 minutes until pastry is golden brown. Serve warm with top-quality crackers. Place ground beef in a mixing bowl. Hold the bread under running water, soak, and then squeeze out excess water. Add the bread to the meat. Add the remaining ingredients to the bowl (except for the beef bullion) and mix well. If the mixture is too 'wet', add more cheese. In a large sauce pan, bring beef bullion to a boil. Gently drop the meatballs into the liquid and cook for 20-25 minutes. Remove meatballs from the broth and serve. Chop your green onions. Add them and your two cups of crab meat . Add the sour cream, Worcestershire sauce, powdered sugar, garlic powder and lemon juice. Thanks, Laurie! I'm definitely trying that spinach dip recipe! these recipes make me wish that I could cook!!! I've been gently asked to leave the cooking to the pros and so my go to "recipe" is whatever is being featured premade by our local grocery store! Thanks for sharing! 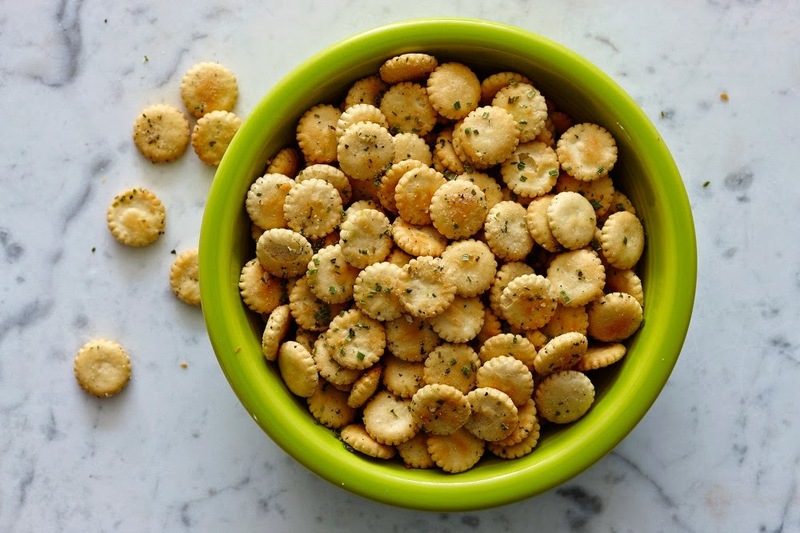 I have made those Ranch Oyster crackers for years. My family loves them. And I make the Chex Mix but I use Crispix cereal instead of assorted Chex cereals. Recipe is pretty much the same. Another thing I remembered from times past are ham roll-ups. I'll be making them this year. Pat ham slices dry with paper towel. Spread cream cheese in a thin layer over ham. Place a green onion at one long edge of ham and roll up, jelly roll style. Cut each roll in 8 pieces. Place rolls on serving plate and cover with plastic wrap; chill until ready to serve. Makes 64 rolls. I haven't had those ham roll-ups in years, Karen. They used to be all the rage. I love them. Also make them with thinly sliced salami. Thanks for all the great recipes. There are a couple here I want to try. In my house, we put out lots of simple snacks this time of year--summer sausage, cheese, crackers, fresh fruit and veggies. And cookies, of course! But I'll pass all these recepis to my sister and I'll have her make them all for me because they all sound delish. Thanks for sharing! Cheese balls made with cream cheese, green onions and chipped beef. Also have made a nice cheese tray that goes over well. A am SO copying these recipes to use later! We always do lots of cheese and crackers; the traditions Chex mix with a couple extra dashes of Worchestershire sauce and seasoned salt, and I make raspberry walnut fudge. I use the recipe on the marshmallow creme and add in a handful of marshmallows, a small extra handful of chocolate chips, and raspberry flavoring. Chex mix, crab dip, spinach dip, cheese tray, and this year I'm loving the candied pecans. Your recipes sound great. I'll be adding those to my recipe file. Thanks for sharing. now, i'm hungry. I love hot crab dip. During the summer, I make fig jam or a savory fig and onion jam. I make a pint jar to save for the holidays. We keep it in the fridge and if someone stops over we can offer a quick snack with the jam, cream cheese, and crackers. We also eat a lot of pretzels this time of year for some reason. I want to try the Blue Cheese and Walnut Spread! These are some wonderful recipes I can make. :).Our family is so large we just put out a little something for everyone. Nothing really specific. Lots of cheeses and crackers, antipastas and fruits with loads of olives we all love.And the usual chips, pretzels and mixed nuts with raisins. Thankss for the post. Happy Holidays and great eating everyone. My sister is the best cook, I love all of the goodies she makes at Christmas. My favorite goodies at this time of year are miniature pecan pies, bite sized and just the right amount of a really sweet dessert. And of course, pumpkin pie, my very favorite this time of year. I family likes cheese, so we always have a platter of different block cheeses and a variety of crackers. Chex Mix is a must for everyone. I have a great cheese ball recipe (cheddar, cream cheese, onion, green peppers, crushed pineapple, and chopped pecans plus a few more things). Unfortunately I can't find my recipe book. I got the recipe in 1978 or so and it is easy and delicious. The kids usually fix sausage balls, cocktail sausages in a bar-B-Q and grape jelly sauce, pigs in a blanket, and we do bacon wrapped chestnuts, bacon wrapped shrimp, stuffed celery (cream chess & diced green olives), and stuffed mushrooms (whipped potatoes, crabmeat, onion powder, parmesan cheese). No calories in any of it, but we seriously cut back come January 2.